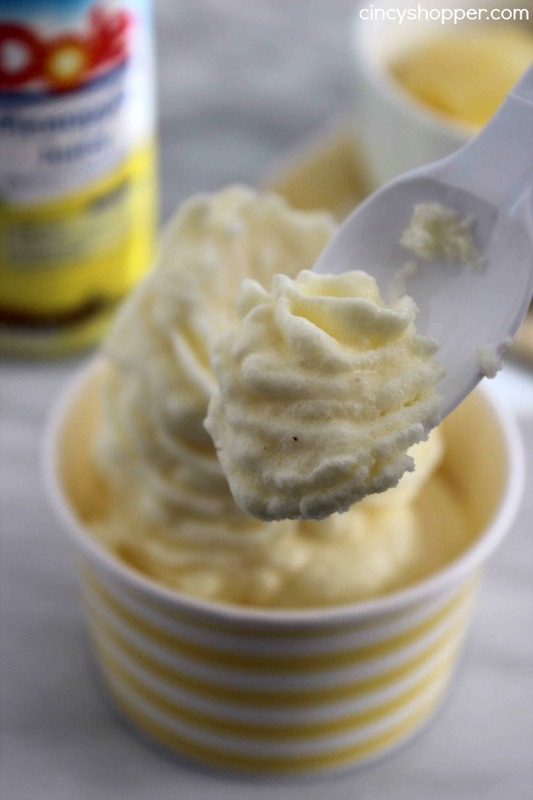 This CopyCat Dole Pineapple Whip recipe will satisfy your cravings all year long. 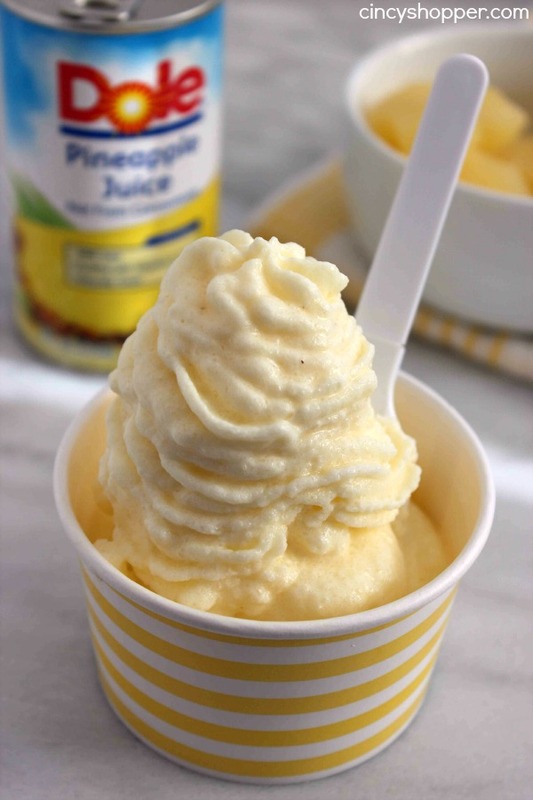 No Disney trip is needed to enjoy a dish of this yummy pineapple flavored non-dairy frozen treat. We went to Disney over Christmas break and I waited in line for close to an hour to enjoy a dish of their famous Dole Whip. I know some of you who have given this yumminess a try in the past can relate. This stuff is worth an hour wait in line, ha ha! 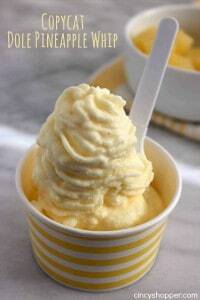 I have been a HUGE fan of Dole Whip since it came into existence. 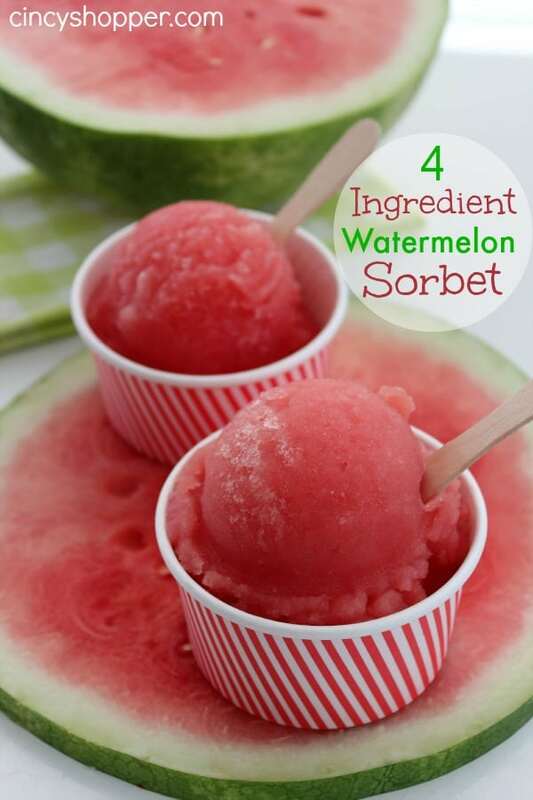 I worked at an ice cream stand in high school and college, I was always able to enjoy a dish of the delish cold treat heaven whenever I wished. My favorite flavor way back then was peach. Now that I am older, I would say my favorite flavor is Pineapple. 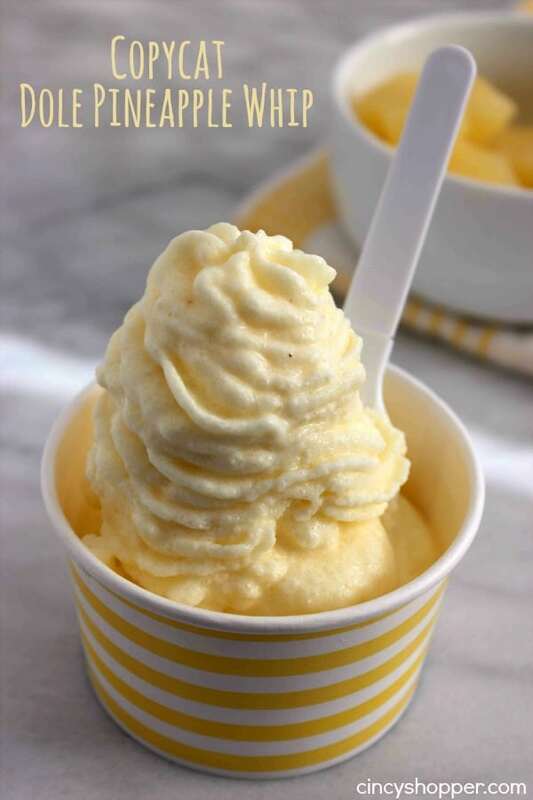 Most believe that you can only find Dole Whip at Disney but that is not the case. Some Ice Cream stands serve up the tasty treat. The problem is that you have to find them, lol. Since moving to Cincy, I have located one ice cream stand that serves Dole Whip. I plan to make a few trips this summer to enjoy a dish. 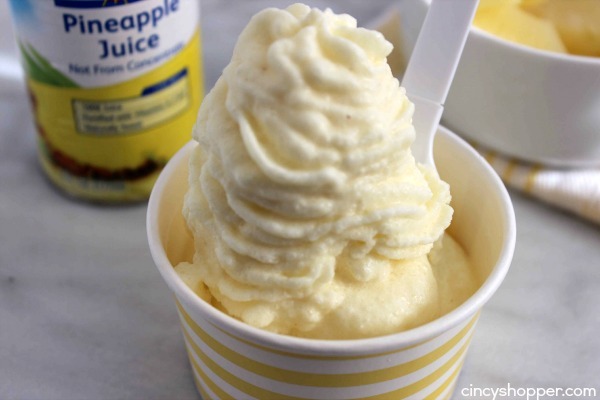 When I am not able to make the trip, I can make this copycat Dole Whip at home. It’s super simple and taste just like the real thing. 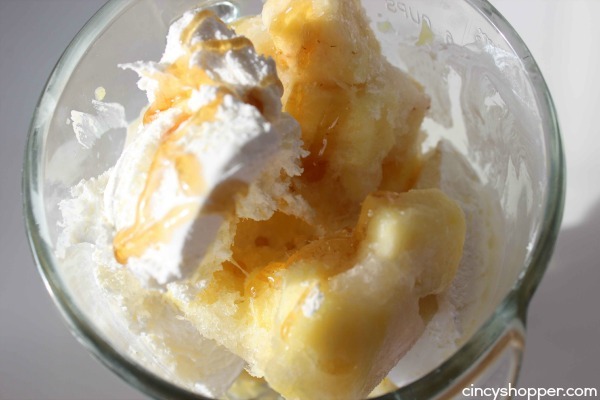 If you are looking to make this Disney World famous treat at home, you will just need to grab some pineapple, pineapple juice, Cool-Whip, and honey. Pretty simple list of ingredients. Where is Cincinnati did you find that serves this? Hi Ashley! I found Dole Whip last season at Sweeneys Cone Zone. It is located on Harrison Ave and Bridgetown. I also heard that there is a place in Mason as well.I hope that helps and you have a chance to give it a try. Could this somehow be turned into a no churn ice cream? Do you have recipe for that? Looks good. Would you happen to know the serving size and how it stores in the freezer. I can see me making this but my husband and son (who I believe are aliens LOL) don’t eat sweets. Crazy I know. 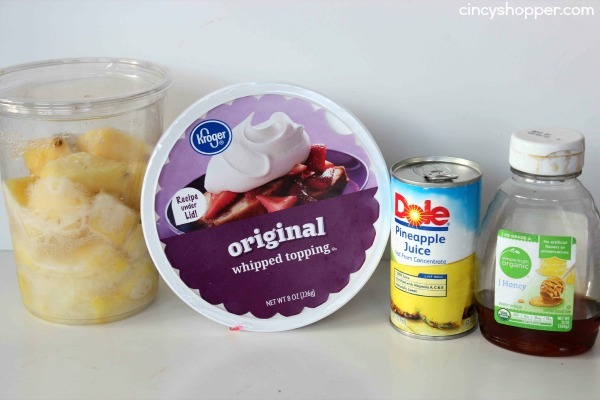 I just made this recipe (Dole Whips) using low fat cool whip and it tastes wonderful!! Can you tell me how many calories would be in one serving? Thank you!! Can you not add all the ingredient calories together from their labels…? I leave out the unhealthy cool whip and it’s still good. I’ve even tried canned milk and that’s good too. If you freeze this it will not have the soft serve ice cream texture. I wanted to try to make it in the Cuisinart freezer. Do I need to adjust anything? for the record, you can buy the actual Dole Whip mix on Amazon… It’s delicious!! 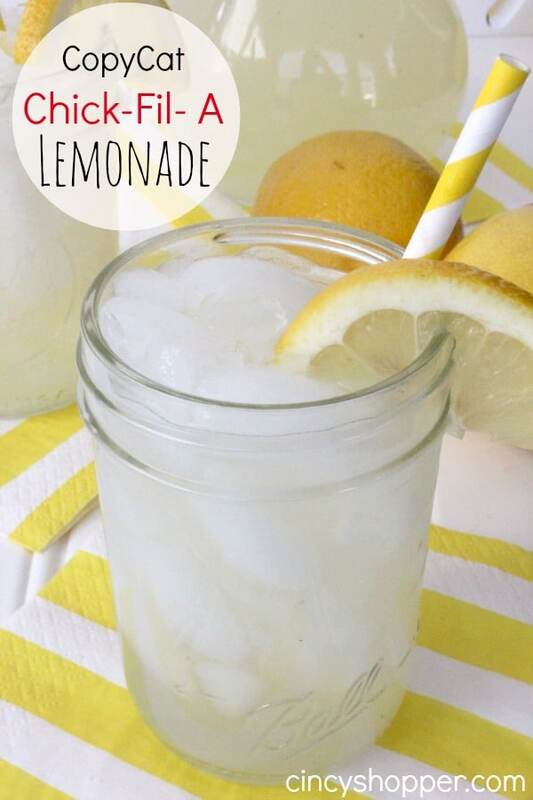 But, I will definitely be trying this version soon, I love pineapple! Thank you for the recipe! Jen, this dessert is so awaesome! I have featured it as one of 25 excellent copycat recipes today on Ducks ‘n a Row. Hope you can stop by! I also want to make it in the Cuisinart ice cream maker, would I use the same ingredients and amounts ??? Thanks for this recipe! I always look forward to the state fair because that’s the only place I’ve ever found the pineapple whip. I can make it at home now! Do I need to thaw the cool whip first or use it straight from the freezer? Thank you! How did you get the frozen pineapple out of the can? That was a big task. Finally got it out. 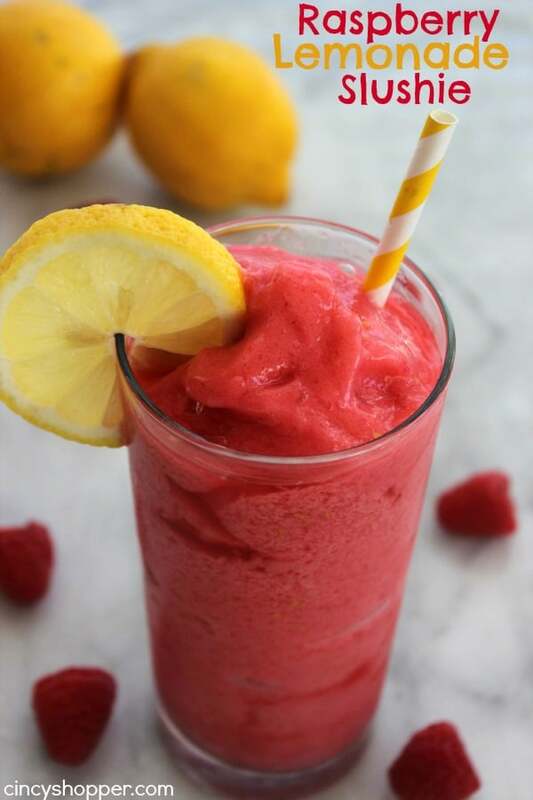 Used the blender – what speed do you recommend? Buy frozen pineapple chunks. Do not freeze in the can. Add pineapple juice from a jar. Open the can of pineapple before us freeze it. put it in an open container or a plastic bag. Had this in Hawaii (Honolulu) at the Dole pineapple plantation. OMG was the best thing ever, will try this recipe and take myself back to Hawaii! This sounds incredible! Love how easy it is to make with such simple ingredients. Thank you for sharing this with us at Funtastic Friday! I remember the Dole canneries in Hawaii and this reminds me of home. I’ll be including this in a Hawaiian Food Week roundup. Pinned too. Just made it and it did not stand up and thicken like the picture. I used frozen pineapple chunks. I added ice to help stiffen it like you suggested but it only helped a tiny bit. The flavor was great though. Hey Bobbi, to make it stand up, you might want to try adding some more whipped cream instead of the ice. The whipped cream is what makes it stand and it could’ve been too much juice that made it flop. Next time try the extra whipping cream and see if that will help. Happy Eatings!!! !